My real data instruments consist of three main components: the sensors, the microcontroller board and the instruments. On the right you can see two real working instruments in 50% and 33% scale next to an original Vertical Speed Indicator. On this page you will learn more about the components and way of processing real datas. 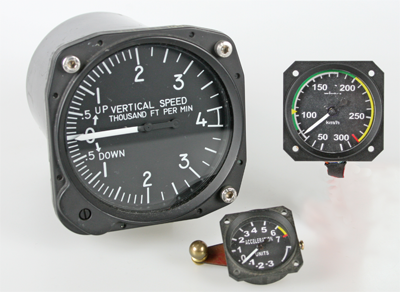 For speed, altimeter and RPM different sensors are used. 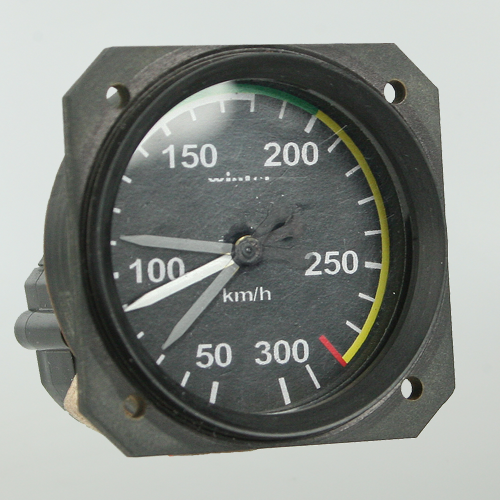 The accuracy of the altimeter sensor allows a maximum resolution of +/- 10 mm! All sensors performs several tasks. The Vario doesn`t need an extra sensor, because the climb rate can be calculated from existing data over the time and displayed on a separate channel on the Vertical Speed Indicator. 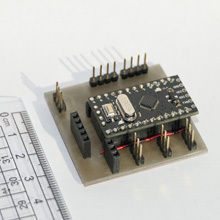 The heart of my solution is a small microcontroller board with only a few grams. The software was developed over a long period of time and tested in practice. If an update will be needed you can install this by yourself via a mini USB input. are working very similar to modern cars or motorcycles. 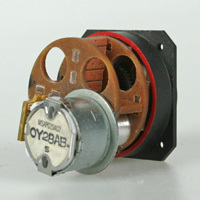 They based on small stepper motors. By this way the mechanics can be reduced to a minimum. 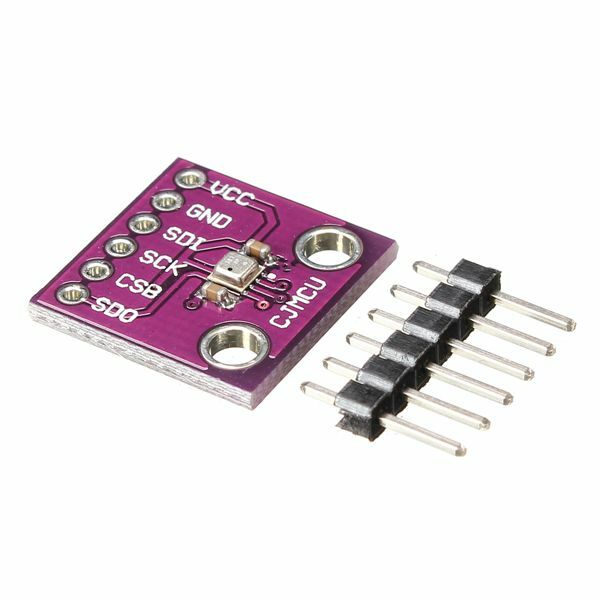 The microcontroller board and the software are able to calculate all datas more than 20 times a second. The result are digital hands moving like analog instruments. Small stepper motors have many advantages for this purpose – only the moment of powering up is a little bit tricky. At this moment the controller doesn`t know the hands position exactly. Because of that each instrument has a mechanical stopper. 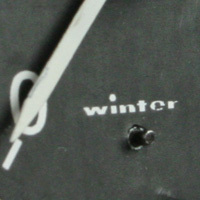 The software is programmed to find the stoper at first. By this way the calibration can be finished very accurate. Like in motorcycles or cars my analog instruments are digital ones in real. However, the resolution of the stepper motors is so good that you can´t see any differences to mechanical and analog instruments. In Addition the software is programmed to handle all datas very efficiently. All sensor datas are calculated 20 times per second. The close steps and low time frames makes the illusion very close to perfect.